Paved streets and colorful picturesque buildings lead towards a fortress built in the 1530s. On the way, you pass the breathtaking Duomo, numerous charming trattorias and slow paced locals with their dogs chatting on street corners. 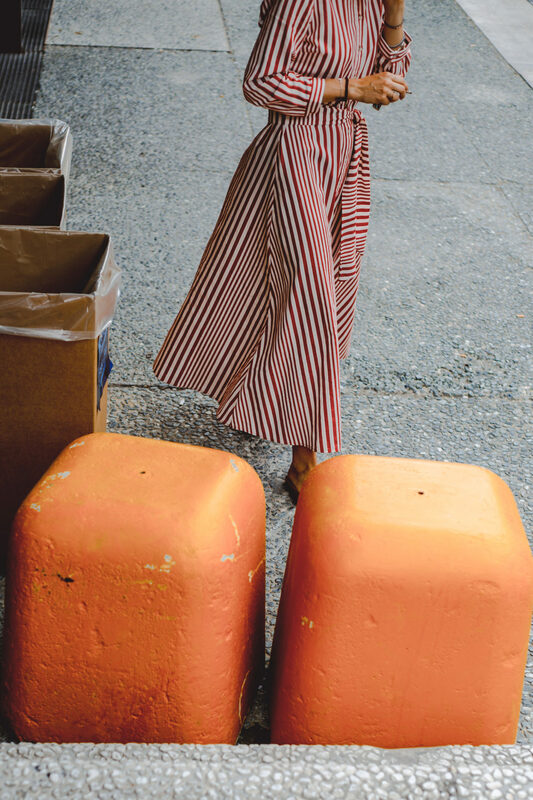 We are far from the hectic pace of Paris, London, New York or Milan, and yet in front of the Fortezza da Basso, people look like they’ve stepped straight out of fashion editorials. There’s a man dressed up in red from head to toe, and another wearing jeans with flames. Someone has mixed colorful stripes with flowery Hawaiian patterns and rainbow-colored socks. Not to mention the hats – so many different kinds of hats. But there are also women. Fashionable women. Women with hats. 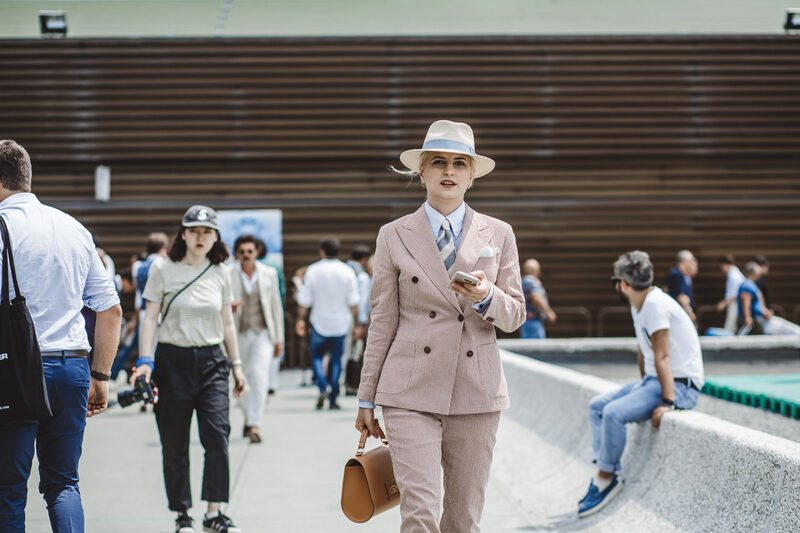 Pitti men and women all come in suits, in skirts, in far more unisex outfits than is seen in official fashion weeks in fashion capitals. Inside the fair, you realize they are all here: Vogue’s Suzy Menkes, New York Times’ fashion photographer Lee Oliveira and Dan Thawley from The Business of Fashion in addition to 19,000 buyers and 30,000 visitors all in all. 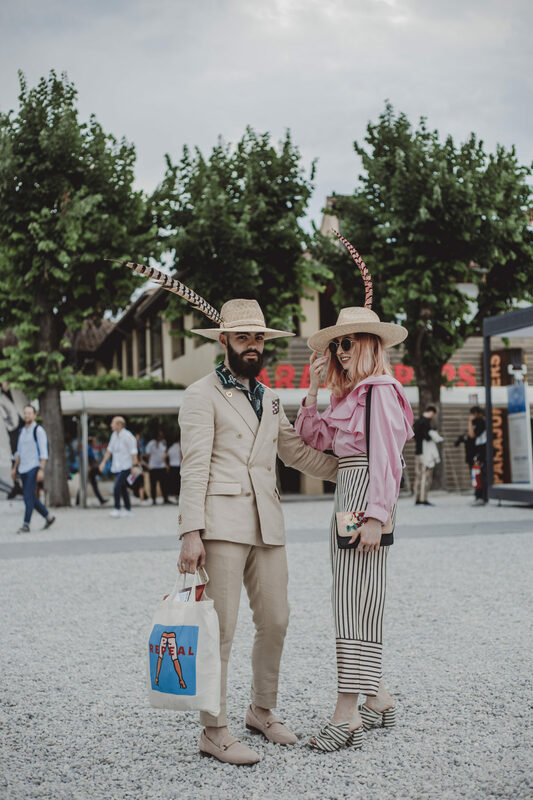 It quickly becomes clear that Pitti Uomo is not only a men’s fashion fair in the commercial sense but also an important fashion event where the fashion crowd goes to get inspired, to see and to be seen. It’s no wonder. 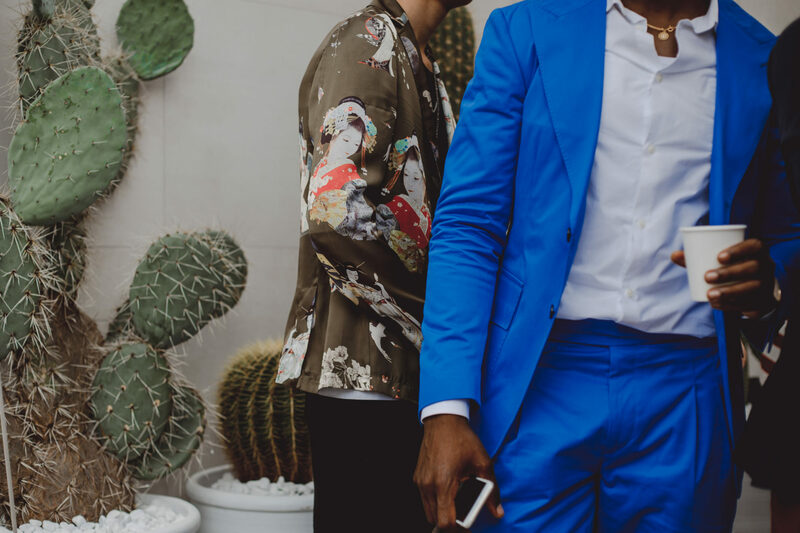 The whole Pitti Uomo event is like an upbeat bubbly fashion party in an aged castle and all around historical Florence. The atmosphere there makes you think of the Hyères fashion and photography festival held in the south of France every April. The combination of the beautiful and historical surroundings with edgy fashion is quite unique in both. They are also held in smaller towns where important fashion industry people still come and are easier to approach than in a busy metropolis. 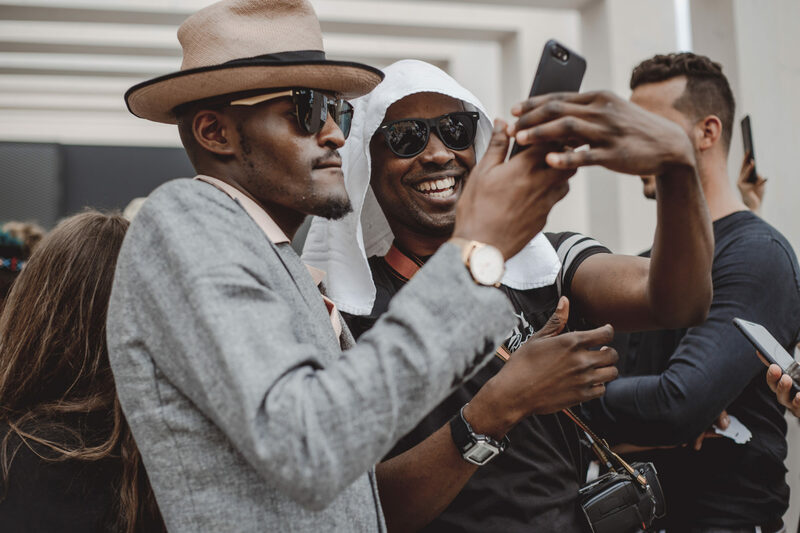 In Pitti Uomo, the normally busy (or at least busy looking) fashion people are not in a hurry all the time, and you won’t be either. You’ll always find the time for an Aperol Spritz and some traditional pear and pecorino filled tortellini. And you’ll have it in a cozy restaurant sitting next to some sort of fashion executive. 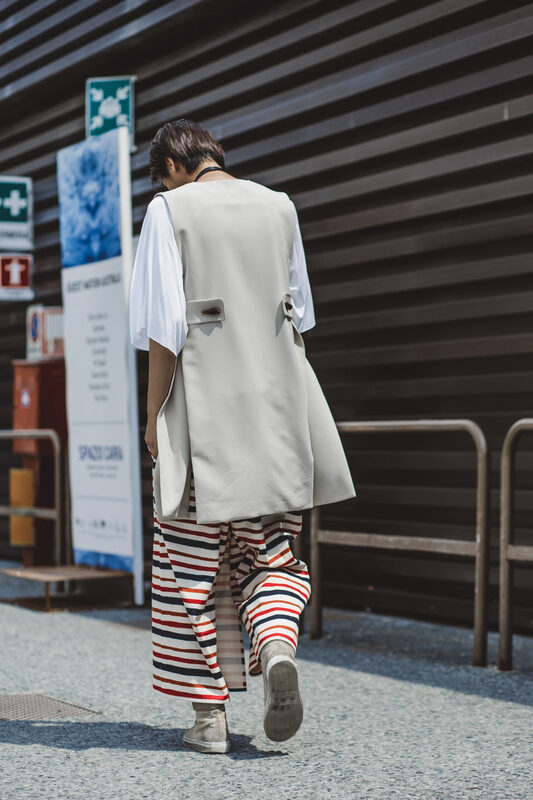 The Pitti Uomo atmosphere is one thing, but the fashion credibility is definitely on a higher level. Many designers are choosing to show their new collections in Florence instead of Milan, London or Paris, for instance. Last June, guests witnessed fashion shows from Gosha Rubchinskiy and Raf Simons. This June, JW Anderson showed his new collection in NYU’s lush villa garden among the cypress trees. 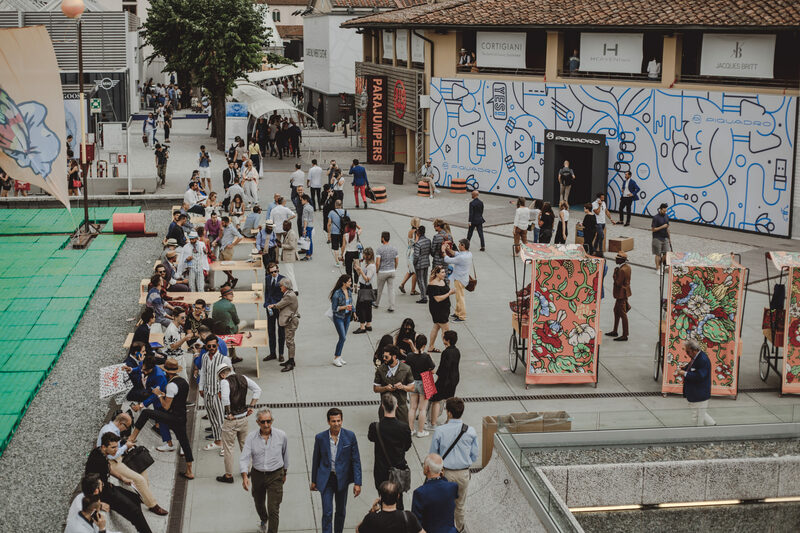 The 92nd Pitti Uomo was highlighted this season by a special event with Virgil Abloh of the brand Off-White, who showed his new collection in Palazzo Pitti’s courtyard in collaboration with artist Jenny Holzer. 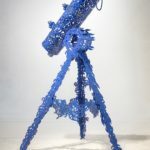 Omid Shams’ writings among others were projected on the walls of the Renaissance palace under a starry evening sky. While the models walked the runway, eyes were not only on the clothes but also on the powerful political messages about war, love and poetry. Every January and June Pitti Uomo chooses one nation as the theme country. This June it was Australia; next January it will be Finland. The event will be produced by Helsinki New’s Miia Koski and Martta Louekari along with creative directors Tuomas Laitinen from Aalto University and SSAW magazine co-founder Chris Vidal-Tenomaa. Finland will have its own showroom designed by Linda Bergroth inside the fair as well as a big event held in the center of Florence for international fashion press. The idea is also to publish a unique magazine on the Finnish men’s fashion scene today in English to accompany the proceedings. I couldn’t imagine a better moment for Finland to show its mix of the country’s best young designers as well as new brands alongside more established ones. 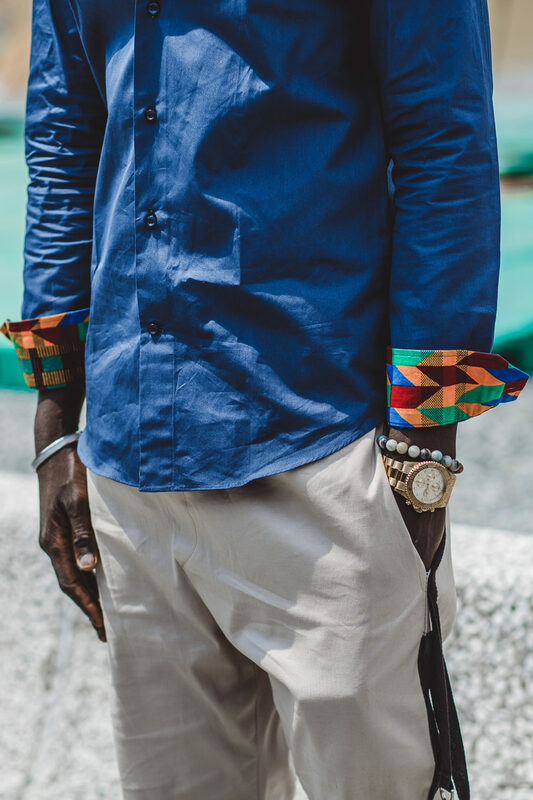 Men’s fashion and Pitti Uomo are experiencing momentum, and in January, Finland will be riding the international wave of coolness, exactly where it deserves to be.